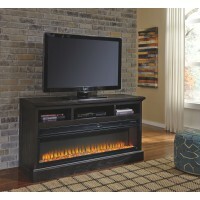 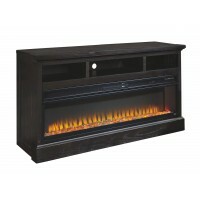 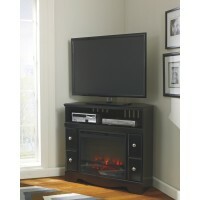 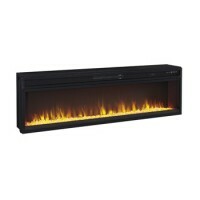 Add a touch of warmth and create beautiful ambiance for your TV viewing pleasure with this wide fireplace insert. 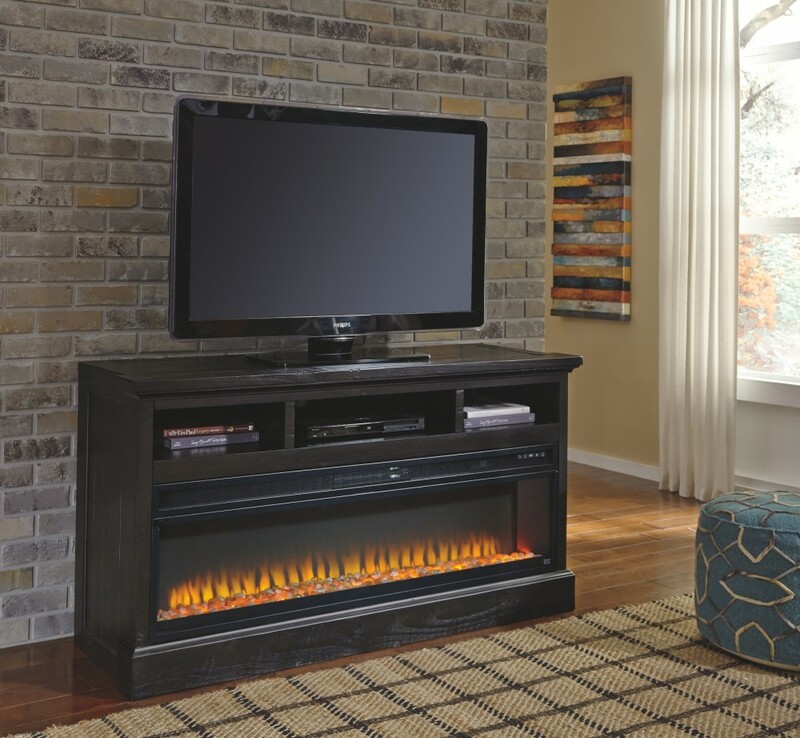 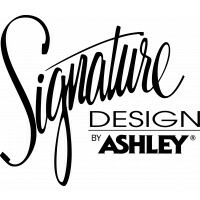 Available as an addition on select TV stands and entertainment centers, this insert can easily replace a lower shelf in your entertainment center. 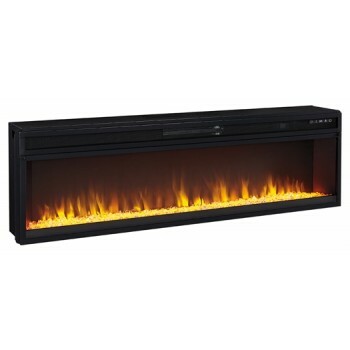 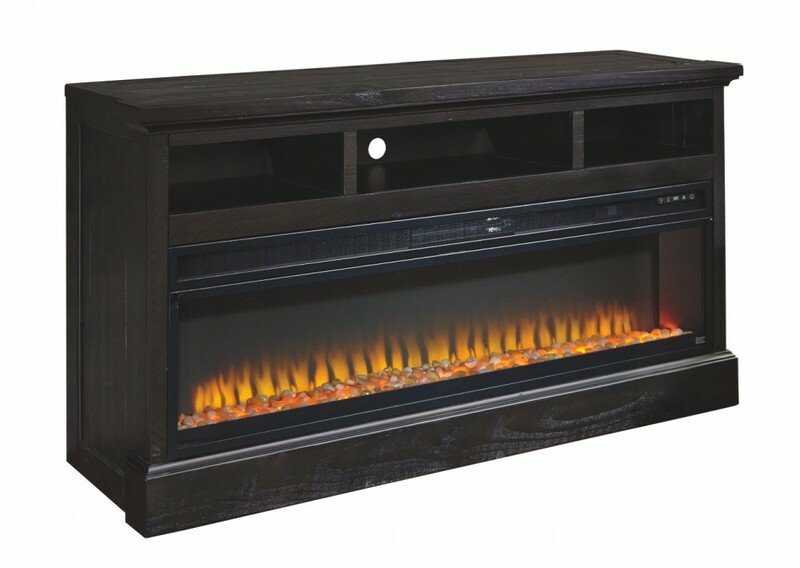 With no hassle, maintenance or cleanup, delight in all the unique features of this fireplace via remote control. 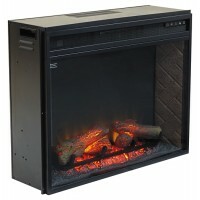 With the touch of a button, adjust flame color setting, temperature or set the 12-hour timer for long-lasting enjoyment. 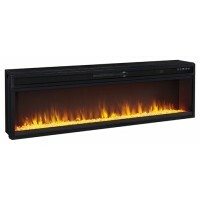 The realistic flame effect includes color change option and faux glass crystals and natural rock inserts.